Reproduction in flowering plants is influenced by the biotic and abiotic environment. Contrast traditional conservation efforts with newer strategies of conservation. 9.4 U 1 ​Flowering involves a change in gene expression in the shoot apex. Compare the vegetative and reproductive phases of the angiospermatophyta life cycle. State that flowers are produced from a shoot apical meristem. State two abiotic factors that may trigger flowering. Compare the timing of flowering in short-day plants and long-day plants. Outline the process by which changes in gene expression trigger flowering. In long day plants, the active form of the phytochrome pigment, leads to transcription of a gene that controls flowering (FT gene). The FT mRNA is transported to the shoot apical meristem in the phloem, where it is translated into the FT protein. The protein binds to a transcription factor, which turns on many flowering genes, thus converting the leaf producing meristem into a flower producing reproductive meristem. State the role of the pigment phytochrome. Describe the conversions between the two forms of phytochrome. Describe role of phytochrome in controlling flowering in long and short day plants. 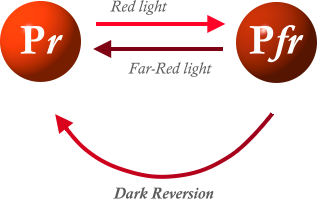 Photoperiodism is a biological response to a change in the proportions of light and dark in a 24‐hour daily cycle. 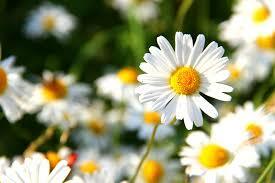 Plants use it to measure the seasons and to coordinate seasonal events such as flowering. The control of flowering is achieved through a process called photoperiodism. The critical factor is not actually day length – it is night length. image from Plants and their Environment University of Miami. The ACTIVE form is P(fr) – stimulates some growth and inhibits other growth. ​Define pollination, fertilization and seed dispersal. State the changes to the ovule and ovary that result from fertilization. List mechanisms of seed dispersal. 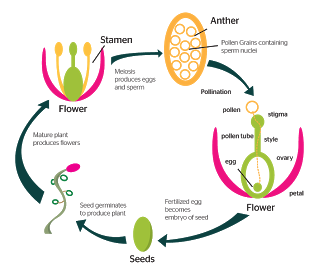 The process in plants in which pollen grains (male gametes) are transferred to the female gametes (ovules contained within the carpel), thereby enabling fertilization and sexual reproduction. The fusion of male and female gametes to produce a diploid zygote. In flowering plants, a double fertilization occurs producing the embryo and the endosperm nucleus. The movement or transport of seeds away from the parent plant. This decreases competition between parents and offspring and promotes diversity within the species. Seeds can be dispersed through gravity, wind, water and by animals. 9.4 U 4 ​Most flowering plants use mutualistic relationships with pollinators in sexual reproduction. Explain an example of mutualism between a flowering plant and its pollinator. ​Pollination is the act of transferring pollen grains from the male anther of a flower to the female stigma. The goal of every living organism, including plants, is to create offspring for the next generation. One of the ways that plants can produce offspring is by making seeds. 9.4 A 1 ​Methods used to induce short-day plants to flower out of season. 9.4 S 1 ​Drawing internal structure of seeds. State the function of the different parts of the seed. 9.4 S 2 ​Drawing of half-views of animal-pollinated flowers. 9.4 S 3 ​Design of experiments to test hypotheses about factors affecting germination. Outline why water, oxygen and warmth are required for germination. Outline the role of gibberellin during germination. Write five example problem questions for experiments that could test factors affecting germination. Seeds need water for germination. Water rehydrates the seed’s tissues causing the cells to expand and metabolism to become reactivated. Once metabolism has been reactivated embryonic growth can begin. The appropriate temperature is needed to allow enzymes to work efficiently during metabolic reactions. Oxygen is needed for aerobic respiration to take place in the seed. Some plants have seeds that require specific variables in order for germination to take place such as fire or smoke, disruption of the seed coat, or removal of surface inhibitors by water. Water is absorbed by the seed through the micropyle and the seed coat. Water causes the release of a hormone called gibberellin or gibberellic acid (GA). GA causes the cells to expand and elongate, eventually allowing the root to break through the seed coat (testa). GA also stimulates the production of enzymes (specifically amylase) that hydrolyze starch located in the seed’s endosperm into maltose. Maltose is further broken down into glucose which can be transported to areas of growth in the cell. Glucose is used in aerobic respiration to produce energy for growth of the embryonic root and shoot. Louie Schwartzberg shows us the intricate world of pollen and pollinators with gorgeous high-speed images from his film "Wings of Life," inspired by the vanishing of one of nature's primary pollinators, the honeybee. Sunflower Seeds Germination and Growth Time Lapse over the course of 10 days.